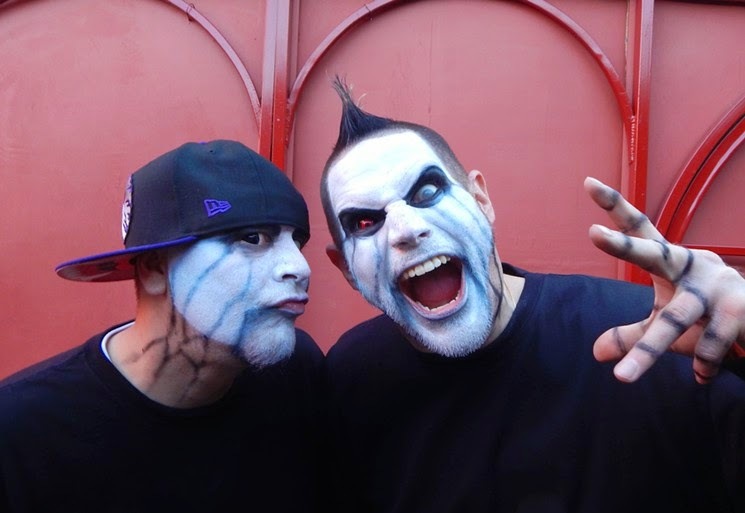 Laden with TWIZTID’s signature horror-imagery style, “Boogieman” music video was filmed in North Hollywood, CA at the California Institute of Abnormalarts and stars horror film legends Reggie Bannister (Phantasm series) as the puppet-master and Tyler Mane (Halloween, X-Men) as Boogieman. Make-up artistry for the video was provided by Greg Lightner of Syfy’s Face Off fame. “Boogieman” was directed and written/conceptualized by Roy Knyrim of Los Angeles. Read more about the actual video shoot HERE via LA Weekly, and watch the video now HERE.